Been bending over backward trying to find a job? A resume can help. Gymnastics instructors teach amateur or professional athletes the skills they need to succeed. 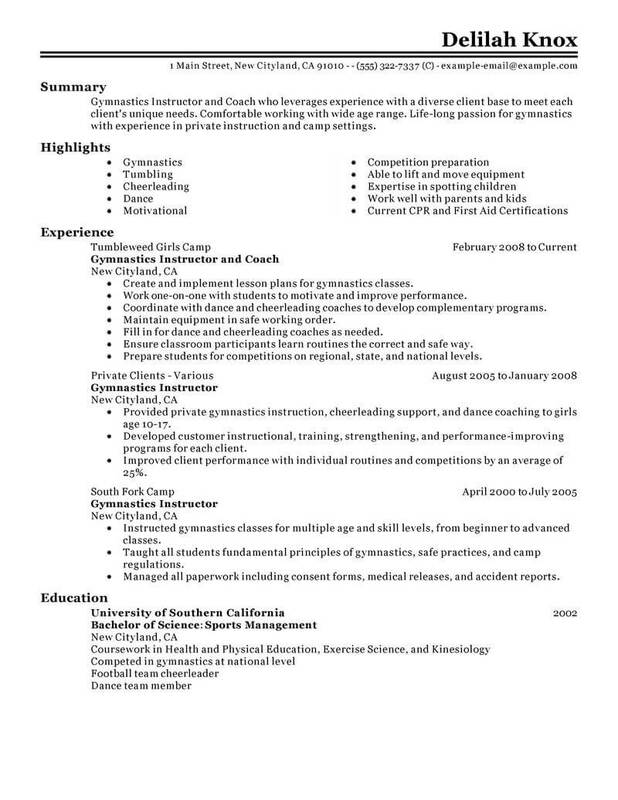 Be sure to list all of your coaching and athletic instruction experience on your resume, including any work you’ve done scouting new athletes. If you have a relevant college degree, like in sports management, be sure to include that information as well. Since one-on-one work is vital as a gymnastics instructor, mentioning soft skills such as stellar communication can set you apart from the competition. 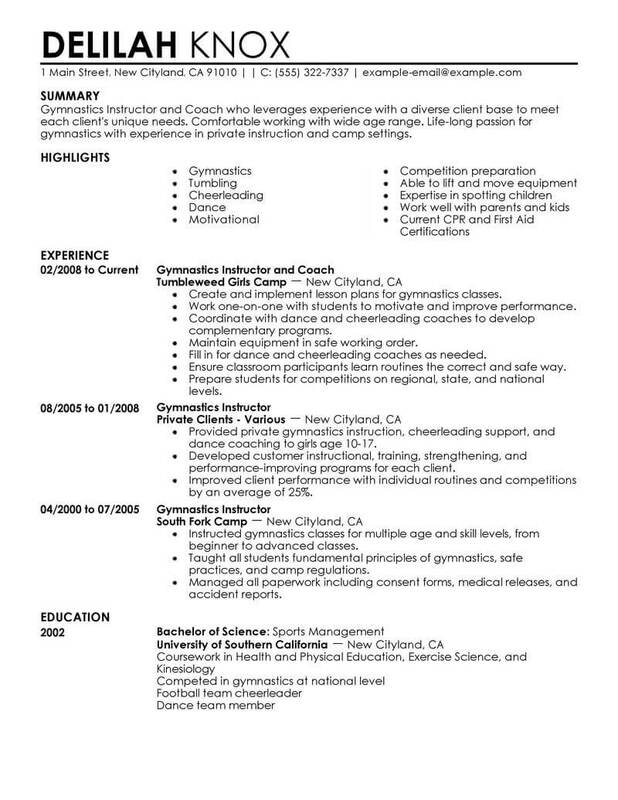 For more ideas, see our gymnastics instructor resume example. Ready to become a professional gymnastics instructor? It takes skill, experience, athletic ability and a solid resume. The resume examples below will help you create your own excellent resume more quickly and with less effort. Choose from a range of templates and designs. Click on any of the resume examples below to get started on a resume that will impress employers and help you get the job you want. Finding jobs as a gymnastics instructor can be easier if you have a strong job search skill set and a positive attitude. Follow these tips for making the search for your next career move effective and focused on obtaining your goals. 1. Create a job search plan by setting weekly goals of job applications, submitted resumes, and networking events. 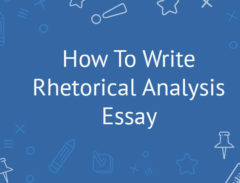 Organizing your search in a file on your computer or in a notebook will help you to maintain your goals and keep the right attitude. 2. Attend job fairs. Prepare by dressing professionally and being ready for on-the-spot interviews. Have your resume polished and bring enough of the documents to pass along to available hiring managers. 3. Practice your “Ëelevator pitch’. This quick summary of your skill set and what you can offer a company can come in very useful at job fairs, networking events, and almost anywhere. You never know who you are going to meet and it is important to be prepared for that next big opportunity. 4. Polish your resume. 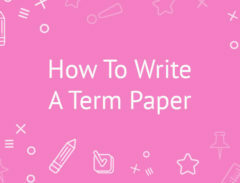 Make sure it is formatted in a readable style and font and is error free. Word processing programs are not all-encompassing, so it is important to scrutinize your resume well before offering it to prospective employers. 5. Send out inquiry letters. This “Ëcold call’ letter can be an excellent way to introduce yourself to a company you want to join for a long term career. It is best to get a name in leadership in the area you would like to work, if possible. The letter is much more likely to get noticed than one with a general greeting. It is very important for your resume to be top-notch to garner the attention of hiring managers. 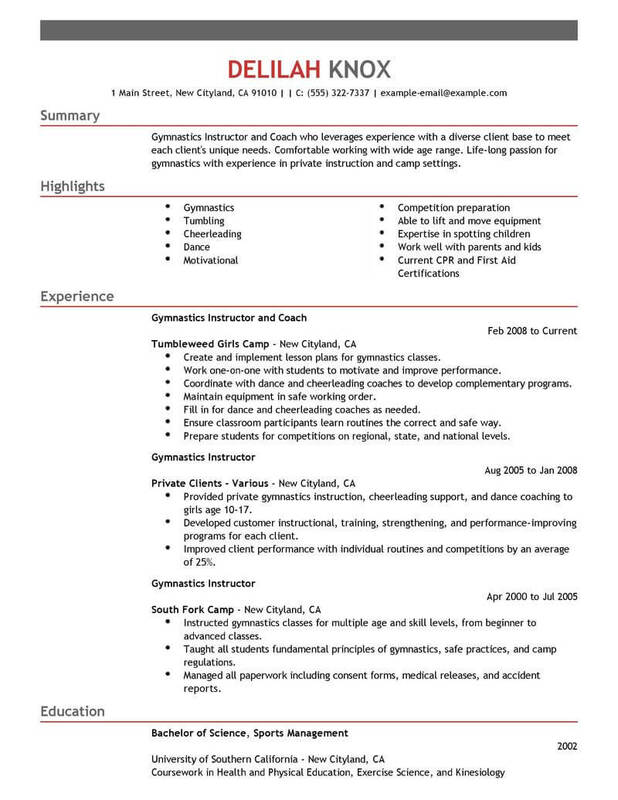 To help you find jobs as a gymnastics instructor, follow these resume tips. 1. When listing your experience, list job title before companies unless it is a very prominent name like Apple or Disney World. 2. Use action verbs in your job listings to describe your accomplishments. Words or phrases like “worked” and “duties included” are not dynamic enough to capture the attention of hiring managers. 3. If you have gaps in your resume, and performed any type of contract or freelance work, use these types of entries to help with “red flag” time gaps. 4. Be consistent with your parts of speech when describing your jobs. Don’t mix parts of speech and use action verbs to begin bullet points if using that type of format. 5. Insert industry keywords within the text of your resume. Software continues to be used to search resumes online for particular certifications, skill sets, and more to narrow down applicants for interviews.